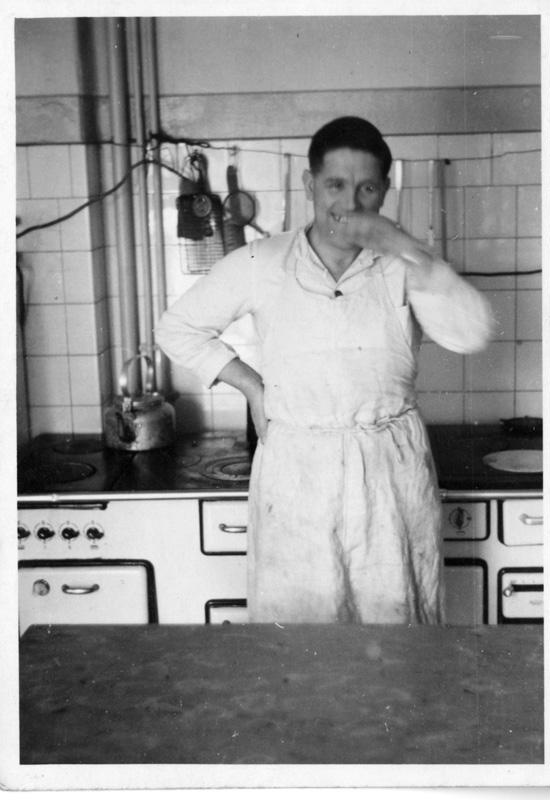 Kenny MacDonald in cook's/chef's whites in a large kitchen. Probably during his time in the army. 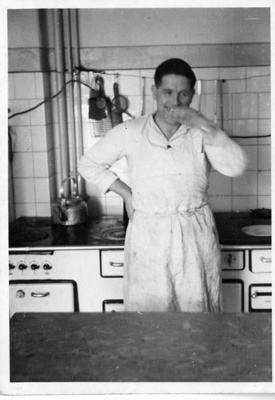 The photograph may have been taken in an army kitchen in Germany. Applecross Historical Society thanks LEADER, Heritage Lottery Fund (HLF), the Applecross Trust, Highland Council and Highlands and Islands Enterprise (HIE) for funding our digitisation project.